I know some mineral makeup stores give out samples in a ziplock baggie, but as a personal experience, dipping your brush inside the bag can get a bit challenging and messy. And if you do stash it in your makeup bag or when traveling, chances are you can rip the bag or poke a hole in it and make a bigger mess. So as I wait for my samples, I decided to go look for some containers where I can store them. 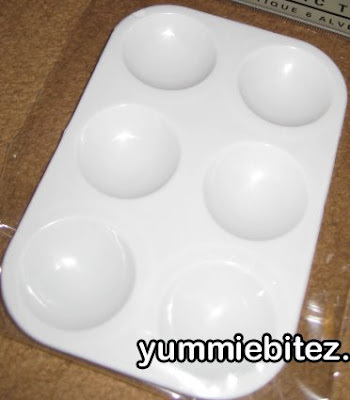 You can always buy those sample jars at e-Bay, but I don't have the patience to wait and bid, and pay for shipping. Luckily, I found an alternative storage solution at (where else?) the painter's section at my local Micheals. What I like about it: I personally like this one better. 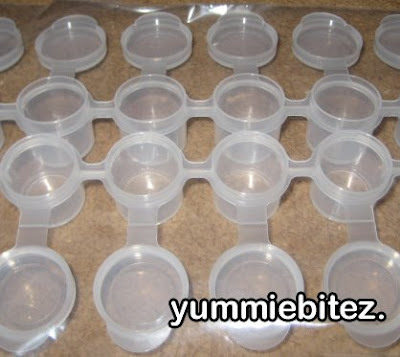 The a row of containers are linked together, so you don't have a bunch of jars to sift through. 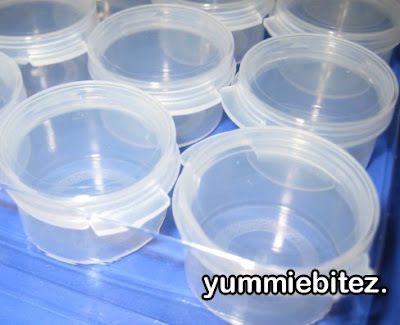 The containers are translucent, so you'll be able to see your color and air tight when closed. Great for traveling. I can consider it almost like a palette for your pigments or mineral makeup eyeshadow. The connectors that link the containers together are not flimsy at all. And it's cheap! What I don't like about it: You can still make a mess when opening it. 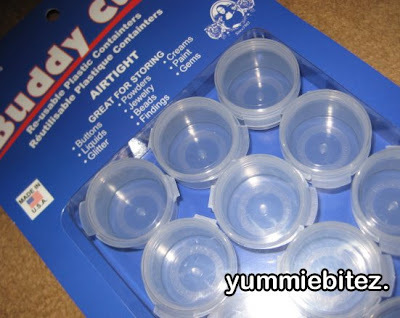 Since the caps close tightly, if you fill up the container up to or a little bit before the rim and pop the lid off, it can get messy (so I suggest you don't). You have to be careful when you open the container since you're simply not unscrewing the lid. Also, since the containers are linked together if you have more than one container open, then you have another opportunity to make a mess. 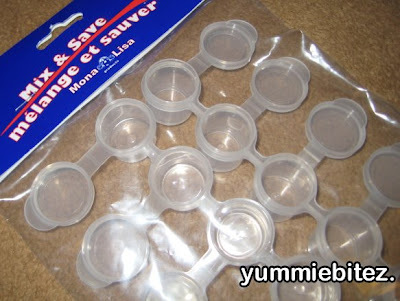 Lastly, the hinge connecting the cap and the container may break after awhile since it is plastic, but that's a very minor problem. If it does break, you can just cut the excess plastic off. What I like about it: This one is a bit bigger in size compared to the Mix & Save container. This is also airtight when closed, but it's not linked together. The container is also translucent for easy viewing of your pigments or mineral makeup. Still great for traveling. What I don't like about it: The lids needs to be popped off to open. What I like about it: You can find it almost anywhere. What I don't like about it: You can't see the colors inside. And when foiling your eyeshadow, you can use a painter's palette ($0.69). It'll keep your eyeshadows fresh since you're not directly dipping a damp brush on your pigment or mineral eyeshadow. That painters palette is such a good idea. I just used a papertowel. But omg im gonna have to get one now. Word! thanks for the info. where'd you buy samples from? 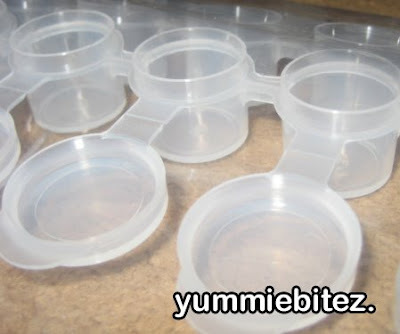 They actually have clear see-thru contact lens cases at Target! Imma take a pic of it soon! Great post! I haven't been to Michael's in such a long time, which reminds me that I need to get magnets for my eyeshadows. Ooo I'm really liking those buddy caps. Except I currently have nothing to put in them. Ha. I love your Michael's finds! I actually looked at those little paint pots to store my pigments in a few months ago. The klutz in me knew that I might have trouble opening the flip top, resulting in a lovely pigment mess.